Personal Details Christopher Howard graduated from Oxford in 1995 and qualified as a solicitor at City firm Trowers & Hamlins LLP in 2003. He completed his LLM in Commercial and Corporate Law with London University in 2014. Christopher spent three years as a specialist construction lawyer at Trowers & Hamlins, where he advised high-profile clients such as Berkeley Homes and Glasgow Housing Association on a range of innovative projects. His clients included some of the first teams to adopt the PPC2000 and TPC2005 forms of contract, as well as early users of NEC. Christopher subsequently spent 8 years working at BPP University, where he was Senior Lecturer in law teaching a range of subject areas and with responsibilities including the roles of Module Leader and Programme Leader. 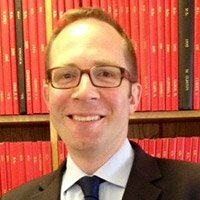 Christopher has worked as a Visiting Research Fellow at King’s College London since December 2013, joining the Centre of Construction Law as a full time Senior Lecturer in May 2014. My ICLA-Philosophy A progressive approach to construction law, promoting collaborative working and new forms of contract.